As the center of a metropolitan area with 1.3 million people, Oklahoma City combines the convenience of a big city with the peace and community spirit of a small town. This helps to explain why it is known to many as “The Big Friendly,” as well as why so many businesses are eager to set up shop here. 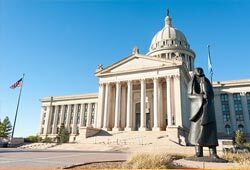 From technological development to manufacturing to government work to energy production, Oklahoma City coordinates some of the most important economic activities in the state. With the aid of logistics services from ExpeditedFreight.com, the city has everything it needs to remain wealthy and influential for years to come. Citizens and businesses of Oklahoma City have long understood the importance of expedited shipping to their economic success. The town has a history of specializing in fields where logistics is critical. 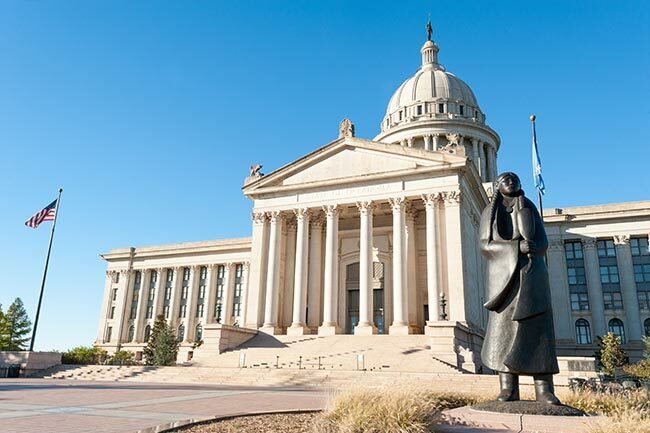 For example, Oklahoma City and the broader state of Oklahoma have been leaders in automotive production for more than a hundred years, first producing finished cars and later manufacturing supplies used to make cars elsewhere. Such production required steady supplies of delicate, complex parts and tools, which had to be trucked in on tight schedules without being damaged along the way. Only highly experienced and skilled expedited freight companies could do this successfully. ExpeditedFreight.com has the highest standards of skill and experience in the industry. Having worked with hundreds of businesses from dozens of fields, we know how to ship every variety of production input quickly and safely. Precise Shipments - We have a network of vehicles and personnel extending all over the United States and Canada. This means we can ship into the Oklahoma City area from any starting point and out to any endpoint, all while loading your goods in record time. Likewise, within the Oklahoma City area, we ship into and out of virtually every local community. This includes locations in Oklahoma City proper as well as those in Edmond, Norman, Stillwater, Tulsa, Blanchard, and Wichita Falls. Safe Deliveries - When you trust us to make an expedited freight delivery, we ensure that your items remain safe from harm along the way. We do this by loading any specialized storage equipment that is necessary to preserve and insulate your goods; because we provide dedicated trucking, it is easy to do this. We also place teams of two drivers in each vehicle, meaning that they will both have a chance to rest along the way and can thus be fully alert at the wheel. Quick Solutions - Our reliance on dedicated shipping and team driving also speeds up our deliveries, as it means we can drive day and night and we don’t have to visit anyone else first. We further lower delivery times by planning every shipment carefully. We guide our trucks around traffic congestion, harsh weather, damaged roads, and other likely sources of delay. ExpeditedFreight.com is available to give you a free quote or answer your questions 24/7. For more information, visit our website today or call (405) 445-7505.